At Four Roses, we’re celebrating the change of seasons and gearing up for fall. Autumn is one of our favorite times of the year, so we’re excited to share with you a few of our favorite fall traditions. And, we have everything you need to get in the spirit, from cozy sweaters, to seasonal cocktail recipes and road trip destinations. Check out Brent’s fall favorites. Kentucky is known for its seasons. The yearly extremes contribute to the high quality of Kentucky Bourbon. The lows are as important as the highs, and in between we get my two favorite seasons, spring and fall. In Kentucky, the refreshing temperatures, changing leaves, drying air and the Kentucky Bourbon Festival introduce fall. Fall is a special time for my family and me. We love the outdoors and every fall try to take advantage of the mild temperatures while the leaves are still falling and before winter sneaks in and the days become too short. We like attending local festivals, camping, and preparing for one of our favorite holidays, Halloween. I began my career at Four Roses 13 years ago this September, right in the middle of the Kentucky Bourbon Festival. The unintentional, but perfect timing was my introduction to this special industry. It also marked my returning to Kentucky after having lived away for eight years. That September forever tied memories of the fall season to the excitement I felt to be back home in Kentucky, joining the wonderful team at Four Roses. Regardless of how you enjoy the fall season, I hope this is a good one for you. Bundle up with Four Roses apparel. Our online store is home to the latest in Four Roses apparel. Just in time for the chilly weather to come, the website is stocked with a variety of long-sleeved options. 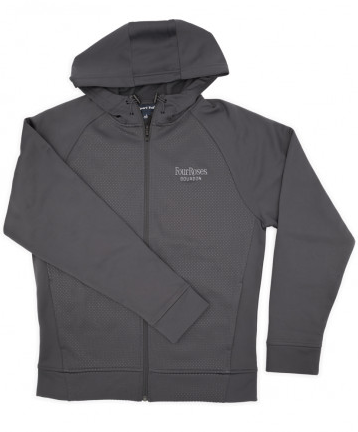 Pick up a cozy fleece zip-up or one of the many other fall offerings here. 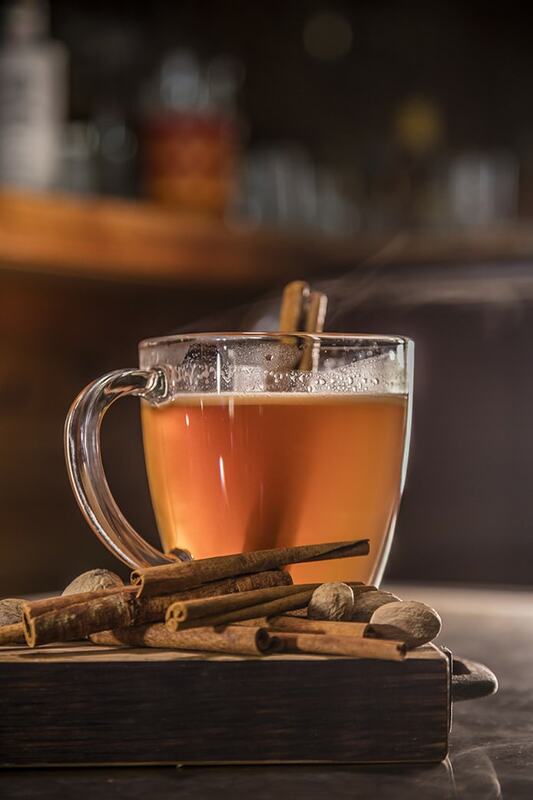 Handcraft a Hot Buttered Bourbon. 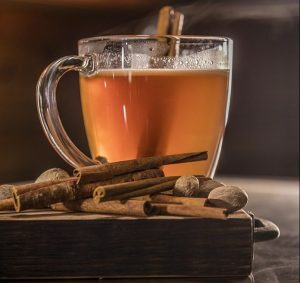 Cozy up with our Hot Buttered Bourbon cocktail, a twist on a traditional Hot Buttered Rum. This recipe is perfect for a nightcap on a cool evening. Get the recipe here to handcraft your own version at home. Don’t forget to share on Facebook, Twitter or Instagram with the hashtag #HandcraftTheMoment so we can check it out. Plan a trip to our Warehouse & Bottling Facility. Fall is the perfect time to take a road trip with some of your best Bourbon friends. Plan a trip to our Warehouse & Bottling Facility in Cox’s Creek, Kentucky, where you can stroll through our single-story rack warehouses and experience our unique aging and bottling processes. You may even see Master Distiller Brent Elliott and Senior Brand Ambassador Al Young around the grounds. We hope to see you soon. Check our website here for more information on planning your trip.